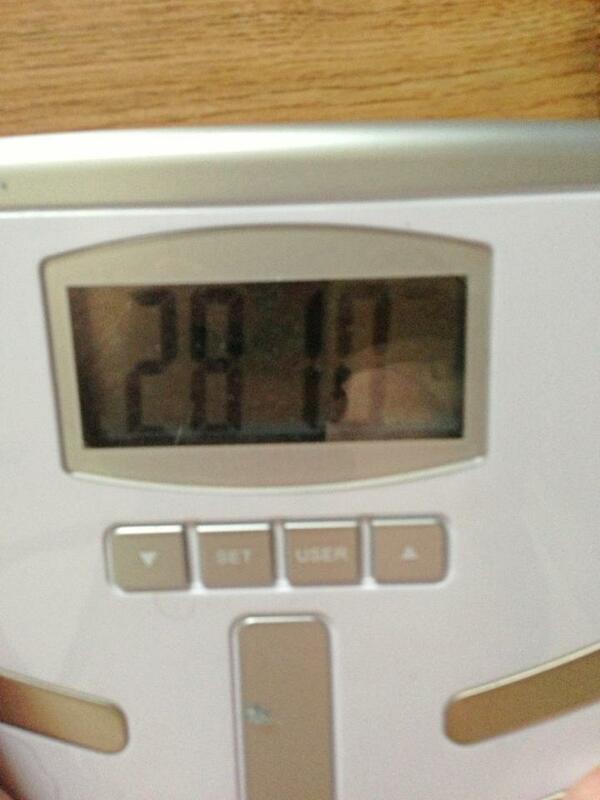 So, I weighed myself today. The first time, I came up with 279.8. I was so excited I went running for a camera. The second time? 281.0. Since it’s such a big milestone, I decided to be conservative and go with 99 pounds lost. Let’s put it into perspective… that meansI’ve lost a weight equivalent of slightly greater than three Explorer 1 satellites (first US Earth satellite). Explorer 1 weighed in at just under 31 pounds. I’ve lost greater than the body mass of actresses Kristin Chenoweth (88 pounds) and Mila Kunis (95 pounds). It hasn’t been an easy journey… it’s going to be a challenge for the rest of my life. That being said, it’s a challenge I don’t want to back away from. I’m feeling better every day, my clothes are baggier (and I’m OK with that), and I bought my first ever compression shorts. Never thought I’d see the day. I’m regaining the lean muscle I lost when I couldn’t work out. I can be on a treadmill for 45 minutes at 3.5 mph and still have my heartbeat under 115. It’s kind of cool, actually. I just wish I had done it sooner… maybe before diabetes really messed with my feet and I entered the realm of morbid obesity. The other thing I’m pleased to see is that my BMI is finally back on the scale, as opposed to being off the charts in a bad way. At any rate, I’m keeping it short today… just wanted to share the good news. Hope I can report 100 pounds soon.